"I'm here to defend circuses," Graham said, pointing out that it was safe for parents to take their kids to the circus but not to let them watch Senate confirmation hearings - as Judge Kavanaugh found out Tuesday when his daughters had to be taken out of the raucous chamber. 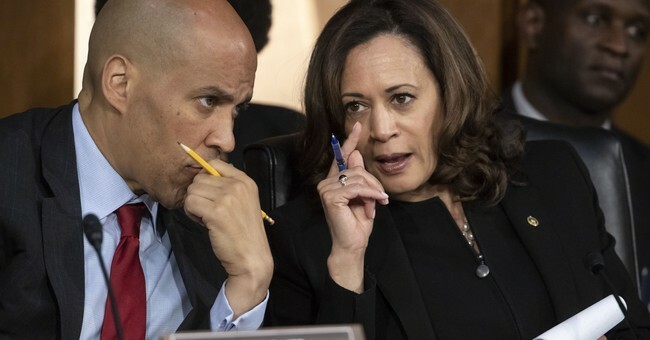 Booker, who showed the whole country why he's never going to be the second coming of Barack Obama, was given several hours of glory by the Liberal Resistance Media even though they knew the "confidential" emails he exposed had already been cleared for release. I hope the American people see the Democrats for what they are - sore losers with no ideas and no plan. We know President Trump brings a lot of deserved criticism on himself. But again, I remind you: No one liked Ty Cobb and he's in the Hall of Fame. So let's put this in perspective - which the liberal media rarely ever give us. After less than two years of President Trump, the economy is booming. Unemployment is down. Taxes and regulations have been cut. In the end the president is doing everything he promised he'd do - including naming strict constitutionalists to the Supreme Court and other federal benches. This week we've been watching Trump's legacy being constructed. It'll live on at the Supreme Court for decades, because, as a recent president said, "Elections have consequences."